In general, New Jersey courts approach the equitable distribution of property using a three-step process. First, all of the property that comprises the marital “estate” is identified. This means that you will discuss with your attorney whether each particular asset, such as a painting, was purchased during your marriage or brought into the marriage through inheritance or a gift. If it was inherited or given to one spouse as a gift, that asset is not usually not subject to equitable distribution. That is, it will remain the property of the spouse to whom it was given. Once all of the property included in the marital estate is identified, each item is valued as of the date the divorce was filed. Finally, the assets are divided between the two spouses as fairly as possible. If you, your spouse and the two attorneys are able to come up with a mutual agreement, that is the best possible resolution because you and your spouse will be able to determine who gets which asset. If you and your spouse cannot come to an agreement about the division of assets, the court will end up deciding these issues for you, and it will not always be to either spouse’s liking. After reviewing these factors, they will decide what is fair and just to both parties. Economic fault will impact the equitable distribution of assets. If a spouse purposefully wasted assets in order to manipulate his or her finances, the court may rule for the other party and adjust the allocation accordingly. Fortunately, some couples are able to set aside their emotions and come to an amicable resolution as to the distribution of their assets. When a couple can agree towards a fair division of assets, they are more likely able to live with the consequences because the fate of their possessions are in their hands and not decided on by a judge. 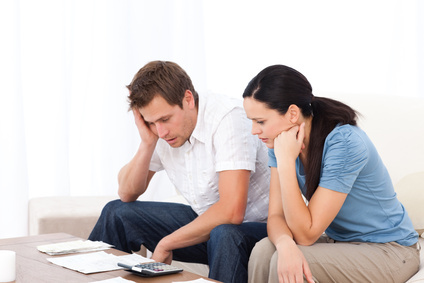 Collaborative divorce is a good way for divorcing couples to save money and time. Property distribution is one of the most contested and heated topics in a divorce. Our firm understands that you want to protect your share of the marriage. We will work tirelessly to achieve your goals. Contact The Salvo Law Firm today to discuss your issues and explore your options.